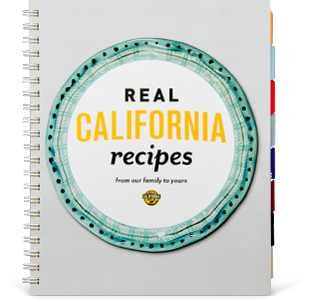 Place the California-made yogurt in a small jar and top with the orange zest and juice, oil, vinegar, 1/2 tsp. salt and 1/4 tsp. pepper. Screw the lid on tight and shake until smooth. 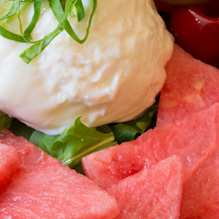 If plating the watermelon salad on a platter to share, place the arugula on the bottom with the Burrata, watermelon, tomatoes and peppers over it. Then sprinkle the basil over the top and drizzle with yogurt dressing. If plating as individual servings, arrange the watermelon, tomatoes and peppers on small plates. Then use a spoon to scoop small dollops of Burrata around the plate. Sprinkle with arugula and basil leaves, and drizzle with yogurt dressing.